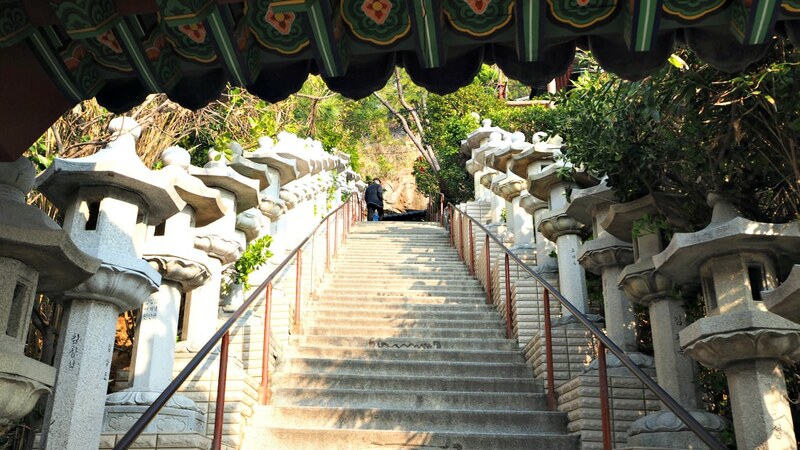 Haedong Yonggungsa Temple is a religious site under the Buddhist monks’ management. The temple’s name can be literally translated as ‘dragon’ (for ‘yong’), ‘palace’ (for ‘gung’), and ‘temple’ (for ‘sa’). 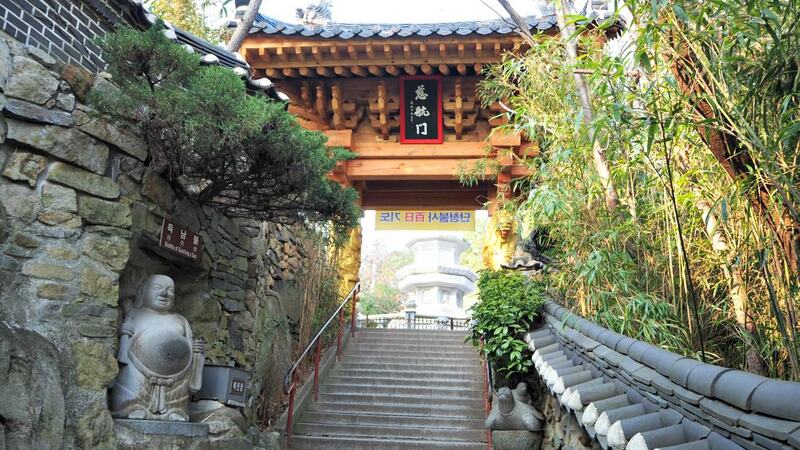 Haedong Yonggungsa Temple is over 600 years old and has witnessed the ups and downs and is confidently sharing its blessings to its visitors from various places. MEANINGS: The Hanja ‘yonggungsa’ means ‘dragon’s palace temple.’ (It means that the character ‘sa’ is not supposed to be repeated in English as ‘temple.’). However, since non-speakers of the language won’t know what ‘sa’ means, I prefer to attach the word ‘temple’ in most articles of this weblog. Haedong Yonggungsa Temple is the first travel destination I visited first thing on my first day of Busan travels. It is because I thought that it is one of the most attractive sites I’d rather see first that the others. Yes, this is my personal choice, and I love places with nature and religious aspects. It is genuinely like a palace setting on top of solid rocks and overlooking the sea and towards the lush mountain of the mainland. Besides, it looks like dreamland to me, even something like a Disneyland but nothing fancy decorations except the religious symbols and structure around. In other words, it feels like fantasy land to me not only because of the structures (e.g., temples, religious sculptures, gardens) but also due to the shapes of the rocks and how the temple site is structured overall. Of course, the backdrop green pine trees and the bluish sea play their harmonious roles in the whole picture. Haedong Yonggungsa Temple nestles on a unique rock cliff coastline in Northeastern Busan, South Korea. Its establishment as a religious refuge for Buddhist monks and believers dates back to as early as 1376. It was believed that Naong Hyegeun (1320-1376) founded the site. Naong Hyegeun was a royal official during the Goryeo Dynasty (918-1392) and a known master adviser who helped the establishment of Buddhism in the Joseon period (1392-1910). Legend has it that Naong established Haedong due to the message he received from a sea god through a dream. The legend says that while Naong was practicing Buddhism the country suffered from drought and famine. Due to the unanswered prayers of the believers, people started to doubt their faith which was also losing popularity due to religious corruption during that period. So, when Naong he immediately left and headed to Bongrae Mountain, the site mentioned in the message. He was told that if he built a temple by the rocky seaside, the nation would experience happy life again and without much hardships. 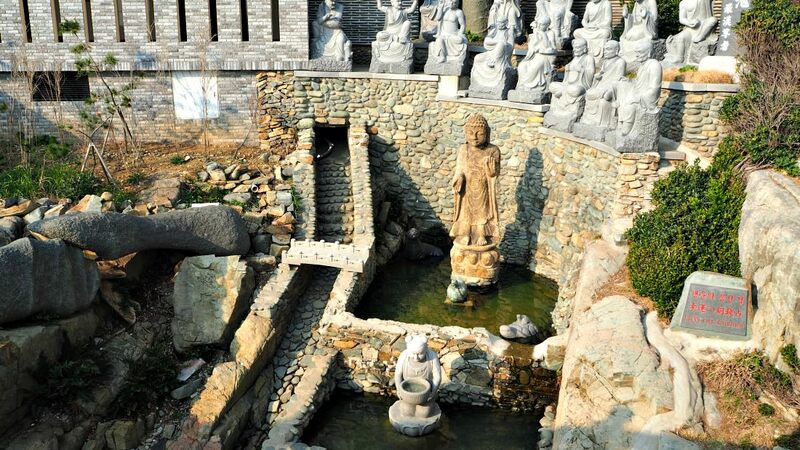 Based on historical records, Haedong Yonggungsa Temple was damaged but was later on renovated to its present state. It was also heavily damaged during the Japanese invasions in 1592-1598 called the Imjin War. The temple area remained unrestored and ruined for many years. It was only in the 1930s that serious restoration efforts were initiated. The monk Ungang of Tongdosa Temple started the restoration of the temple site along with his fellow Buddhist monks until everything was restored. 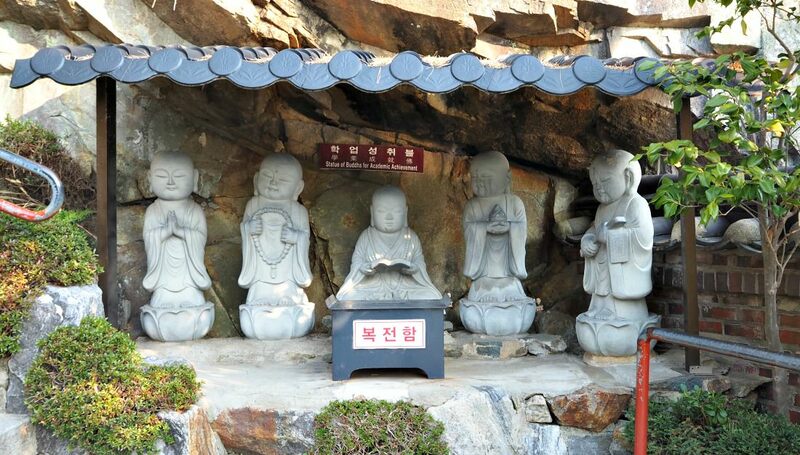 Having overcome the challenges throughout the history of the temple, Haedong Yonggungsa is now not only attracting believers but also travelers with various purposes. The temple continues its significant religious function by carrying out the Buddhism traditions. The monks guide worshipers with the help of the three temples that houses Buddha statues dedicated to three different religious functions. Yaksayeorae Buddha is the healer Buddha who is wearing 'gat', a traditional Korean hat. Yaksayeorae heals all diseases which are symbolized by the bottle he carries. 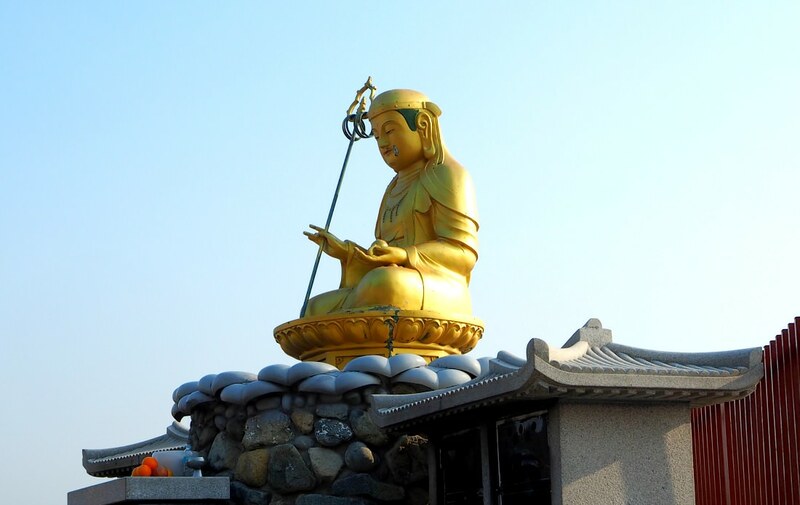 Haesu Gwaneum Daebul is the Goddess of Mercy Buddha statue. It is the Buddha that stays with the souls who are suffering until they will be redeemed from eternal damnation. Story has it that this statue has shown something. It has been said that although it was snowing heavily around the area, no heavy snow settled around and flowers even grow around it during winter time. More mysterious stories are told, but most of them are being kept as religious experiences by monks and believers. The kind taxi driver brought me to the entrance area of the temple site. I followed that path (which is in between small shops and sidewalk restaurants) leading towards the main entrance. Now, if you ask if I like or not like this religious site, let me answer you. I guess, my answers will provide you some ideas and could help you decide to include this place or not in your Busan visit. There’s only one specific thing I didn’t like during my visit… They were preparing to install the lanterns for Buddha’s birthday celebration. What’s the problem? The steel pipes were blocking the temples and views in various places. Yes, I know that it was a temporary unsightly situation. Besides that, I have no regrets nor other complaints! Buddhas that grant academic excellence! Just like I did, I recommend that you come here early so that you can explore the nearby sites or hike the seaside. You can go as far as you want to see more exciting structures, sites, beach areas, and more. 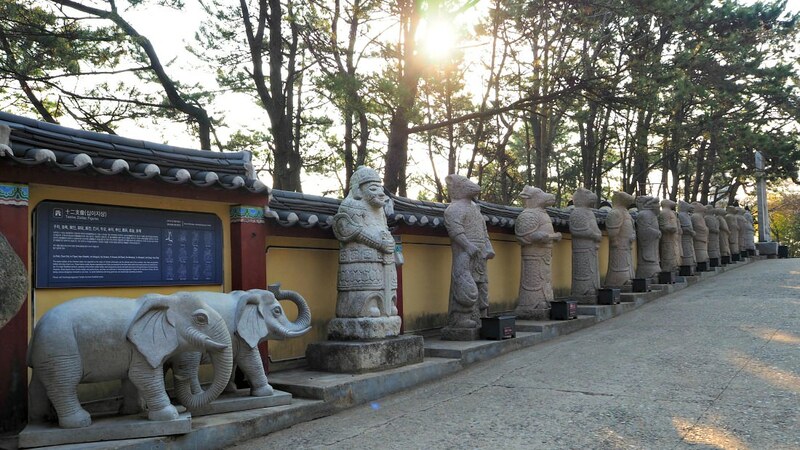 As Korea is advance in many technological aspects including the mode of transportation, you will have no problem in getting to Haedong Yonggungsa Temple. Take Subway Line 2 and get off at Haeundae Station. Go to Exit 7 and walk straight towards the closest bus stop. Check the bus schedule for Bus #181. Take this bus and get off at Yonggungsa Temple Bus Stop after 50 or so minutes. 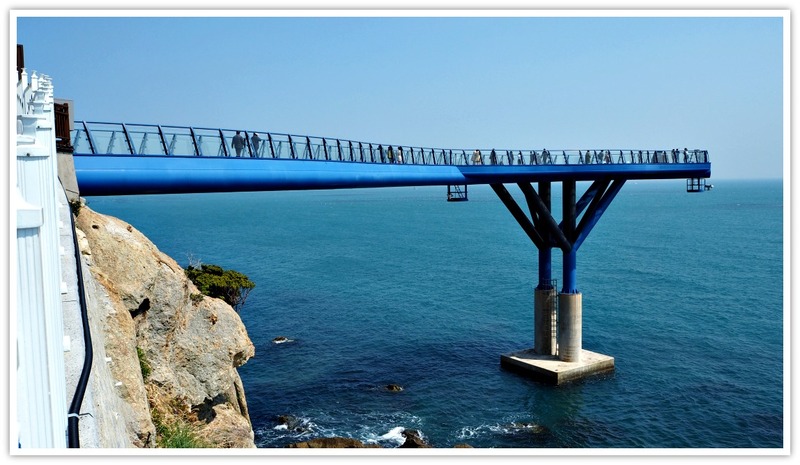 You can sign up for a city tour taking the Busan City Tour Bus (BUTI). See the attractions by riding this bus that stops are specific points to let its guests hop in and off. 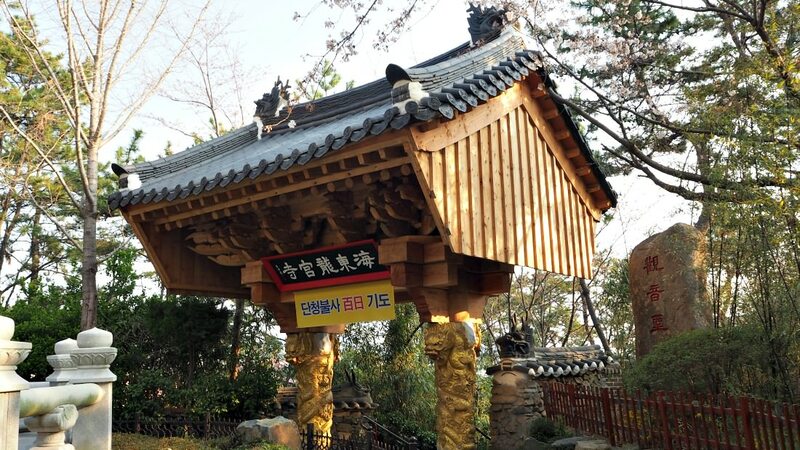 This bus travels Yonggungsa Temple area to give you time to explore for a limited time. Yes, it is good if you want to see the place quickly but not advisable if you want to stay longer. Up to you! This bus service takes about an hour and 18 minutes starting around 10 AM with the last trip that leaves at 3:50 PM. the local guides speak in English, Chinese, Japanese. Take the Blue Line bus that travels to Yonggungsa Temple area. You can transfer to other lines (there are three lines) to see other attractions within 24 hours only. 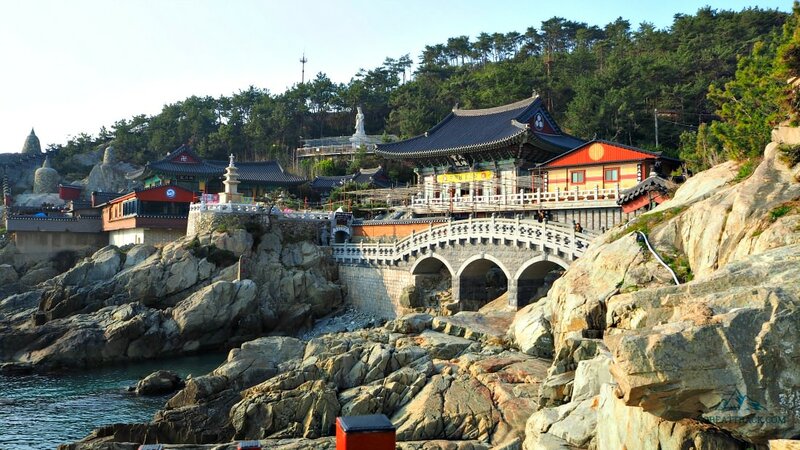 You can also go to Haedong Yonggungsa Temple if you sign up for the Busan East Coast Cultural Day Tour. This guided tour brings you to the four major cultural attractions in the city during the day. The attractions are Taejongdae, Gamcheon Culture Village, Songdo Cloud Walk, and Haedong Yonggungsa Temple. See more on this tour service here. 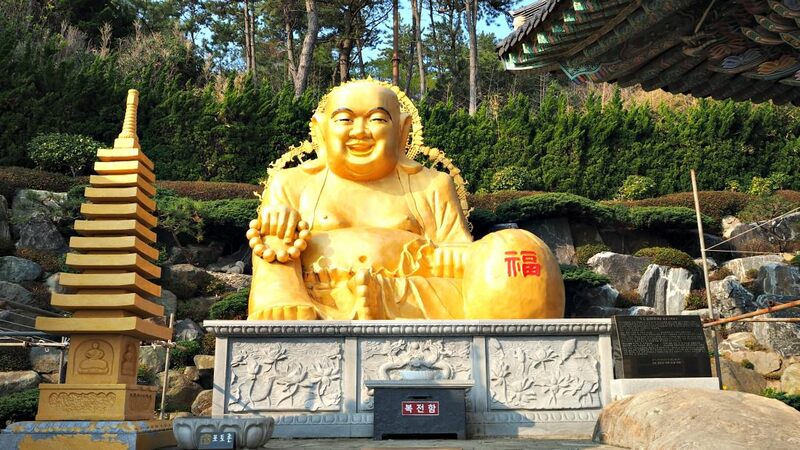 If you think that you want to explore Haedong Yonggungsa Temple and the nearby travel attractions in this part of Busan, it is practical and highly recommended that you stay close to the area. You can book your room through various channels. But for this website, you can use the official link of Agoda (official partner) available below. Feel free to see the hotels, photos, facilities, and even compare their rates. 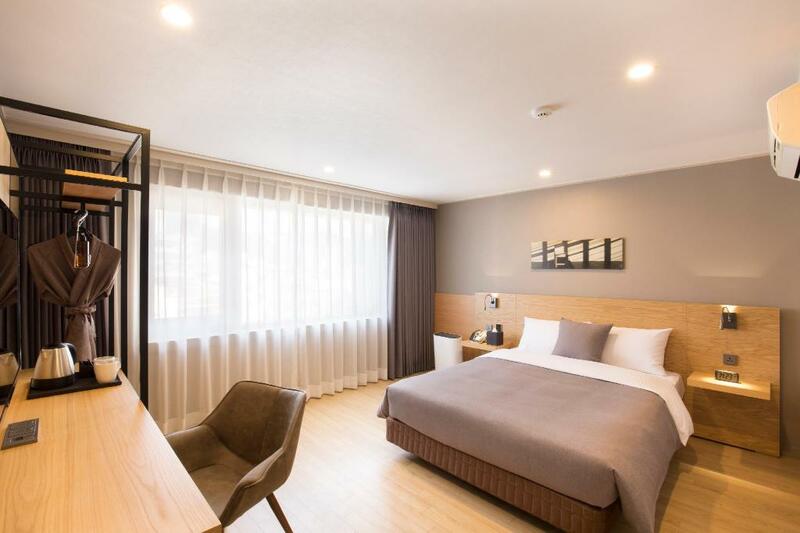 GOLDEN TIP: Stay at any hotel in Haeundae (Beach) area because it is closer to Haedong Yonggungsa and other attractions nearby reachable for less than 30 minutes and not more than an hour by Busan Subway. Thanks for reading this article and I hope you find this helpful in your travel search. Let me know should you have particular and I’m willing to be of help. Safe journeys and have fun!